Adelphi has recently returned from exhibiting at the PPMA Total Show in Birmingham, where our new range of System F fillers were officially launched into the market. On display were the new System F-1800 filler, which was highly commended at the coinciding PPMA Group Industry Awards, and it’s semi-automatic ‘little brother’, System F-600. Both machines received a huge amount of interest from both existing Adelphi Packaging Machinery customers, as well as a number of new contacts. We were pleased to receive some really positive feedback on the many features of System F that make it a truly unique filler. Following the launch in Birmingham, we will be holding demonstrations of the System F-1800 filler at Adelphi’s factory in a few weeks time. In addition to the System F fillers, we also had on display a number of smaller scale machines, including the ever popular Response benchtop filler, the Vesta 1C tube sealer, the OC ampoule sealer, and the newly designed Apollo liquid viewer. 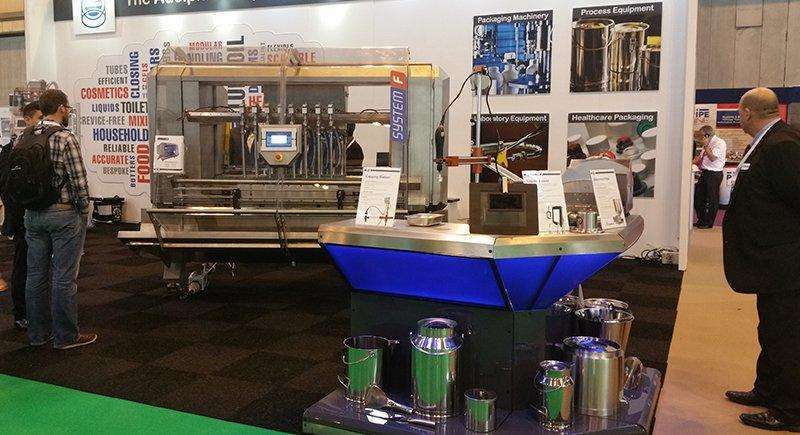 Adelphi Process Equipment also showcased their range of various sized stainless steel containers, along with a small selection of stainless steel process equipment including jugs, bowls, scoops, spatulas, and funnels. This year Adelphi’s Managing Director Dan Smith was also on hand to discuss the new range of System F fillers. His interview with PPMA TV can be viewed by clicking here. 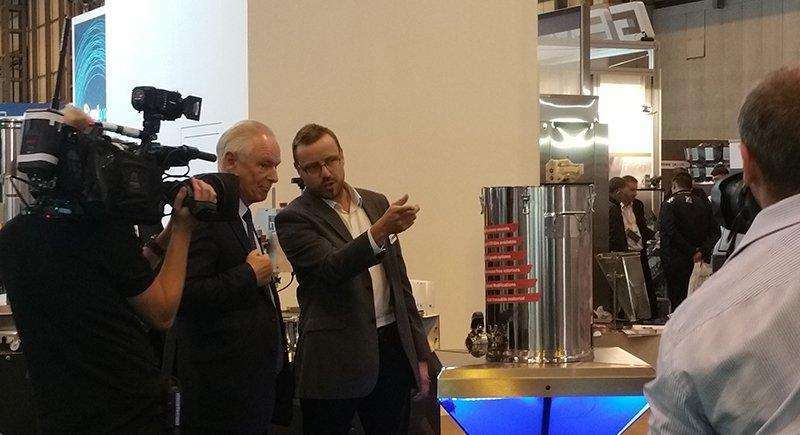 Lord Francis Maude was also attending the show, and made a visit to the stand to chat with Dan on the new filler and the use of government initiatives to drive innovative product development. His chat with Dan can be viewed by clicking here.